Thank you!!! This was the best tutorial out there for installing Forge!!!! My kids have been begging for mods, and without Forge, I could not get them to work. Now they can quit bugging me!!! Here’s to parents getting back their afternoons. now, how would you go about doing this manually? as in, installing the extracted forge files directly into Minecraft? Thanks for the help. Made it easy. Any Mod suggestions for my 7 yr old? It worked, thank you so much. I too have a child who has been begging for mods. Good to hear Sarah. That’s why I created. Cheers. hi your tutorial really helped but i play mine craft with my friends on a server pixelmon but i want to make another server for dragon ball z do i need to make a new forge profile so the mods are separate? and how would i use it? I haven’t tried this. But I wouldn’t think so. So long as you have the mod it should work. Only reason you would need a different profile is if the mods required a different minecraft client version (1.6.4 vs 1.7.3). Still haven’t tried. So I can’t say for sure. Good luck! Hi, thank you for a clear, easy-to-follow instructional on this, I’m another parent trying to keep the boy child happy! Unfortunately, no matter how many times we have deleted minecraft & forge and reinstalled following explicit instructions, it still crashes. We’ve tried various mods so I am pretty sure it’s not the mods we are using. We are missing a step, a file, or program somewhere in the process… (Mac users) Do we need the “Unarchiver” app, or some other similar app? Whenever we install forge no desktop icon appears and it can only be found by searching Finder and is only listed in the downloads folder, nowhere else. I hope these ramblings make sense and I hope you can help me figure out what I’ve missed because I’m not sure how many times I can listen to, “Mom, did you figure it out yet?” or “Mom, all my other friends did it easy, I wish we didn’t have a Mac!” Lol! TIA! I feel your pain! I want to help. Can you tell me where it is failing? As far as unarchivers go there is one for mac (can’t remember if I used it or not). Tell me where you think it’s not working, and I will see if I can replicate on my end. I would like this walk through to be fool proof. Your video got me installing forge which seemed to work. We then downloaded a Jar file for the Pixelmon mod and thats where we are stuck. @Troy .jar files are not to be decompressed. They are fine the way they are. Reply if you need more help. You are most welcome Chase. Any suggestions? Thanks….this is a great tutorial. I would check versions (confirm that the mod version you have is compatible with the forge client and minecraft version you are running). I would also check and see if any other mods are working (if they are that would tell you that it is something specific with that mod and confirmation). Would it be awkward to say I love you? LOL honestly though I managed to get Forge installed and even some mods but it was a total PIA of watching multiple videos, different blogs/forums, and then lots of confusion. I love that everything is here in one spot… now when I install on our other mac I can just come here 🙂 Do you know if I can install multiple versions of Forge one one computer? There are some mods for 1.6.4 my daughter wants to use and some for 1.7.2 she wants. Thanks! I don’t know the answer to the multiple versions of forge on one computer. Haven’t tried. Let me know if you have any success. Maybe one weekend I will get around to trying. No matter what I do it doesn’t let me open the forge jar. I went through all the steps and t still didn’t work. It says to check the console for possible errors. Please help. Can you tell me what stage of the tutorial you are at, and how you are opening the jar? Should be able to just double click (it should expand in your find). Great turorial. I have the same problem as Smitty, when I doble click the forge jar. It says to check the console for possible errors. Could it be the Mac system that I need to upgrade?! I have 10.5.8. My kid is so crazy about playing pokemon mod. Hmmm. I wish I knew what the errors messages were that you guys were getting. Then I could help. One thing to try is to try launching the jar file from the terminal (command line). That way the error message would hang around and I could see what you guys are seeing. Is anyone else getting this error message? And how did you fix? Yes! I am getting the same error message! Please help! When Jar Files Can’t be opened it’s because JRE is not installed install JRE and try again smitty. Well and if that doesn’t work then there is terminal work to be done and i can link you to a video showing you how to do that because i myself have this problem and the video helped. Note: apart from the mods folder there is also a coremods folder for specific core mods, and a ressourcepacks . new forge installers seem to allow multi-version easily and without interfering with the default game. Hey that is good news Doc J. I was getting a lot of questions about that. Good to year that is possible. Will post notes if I try it out. Thanks for sharing. I am having a problem in step 4 – after I double click on the forge 1.6.4 download. I get this error message “The Java JAR file “forge-1.6.4-9.11.1.965- universal-2.jar” could not be launched. Check the Console for possible error messages. Hmmm. I would need to see the error message to help diagnose Ann. But here is something to look for. You see the name of the file you typed above? There is a space after the numbers 965. Not sure if you accidentally added a space to the file name, or just typed it that way when you left the message. But the jar file should have no spaces. If that doesn’t work, try starting again from the beginning. There may have been something that got messed up as you were doing it. But if you can give me an error message, I could help you more. This happened to us, but after updating Java on our Mac – it opened nicely. However, now that we have forge installed, it is not opening my mods. When I went back to the finder, the mod folder wasn’t even there so I created it… but when installing (clicking) on the mod we want to install, it fails – states “the Java JAR file could not be launched. check the console for possible error messages.” any ideas? Thanks for helping. On my Mac running 10.8.5 I tried to install forge 1.72 following your instructions and all is good until I actually try to play, when I get a mashed up screen and nothing. Hey Dan. See if you can find an error message, or log file or something that would give you a clue as to what went wrong. Then tell me. I can’t do it. It says i have to start it manually once until i can download it. See step 6 above. Follow those instructions and tell me if they doesn’t solve your problem. Hmm not sure. I did this a long time ago and haven’t done it since. My suggestion would be to start from scratch and do it over again. I am a computer programmer and sometimes this is the easiest thing to do. Don’t worry about messing things up. Just start again, eventually it will become second nature, and you will probably get by whatever problems are stopping you now. This tutorial is very helpful, infact the most helpful so far for me. But, whenever I click the file to install it, I get a message saying “The java jar file could not be launched” Check the console for possible error messages. Any reason why this is happening…? What step of the tutorial are you at where you do this Taylor? Here is another possible reason – 32 bit vs 64 bit Java version. See if this works. The jar file was created using a later version of Java than you have on your system. 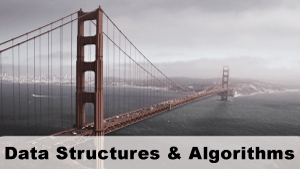 Either you need to bring your version of Java up to date, or you need to run Applications/Utilities/Java Preferences and ensure that the 32 and 64 bit versions of Java SE 6 are selected and are dragged to the top of the list. OK – this could be for a number of reasons. One reason may be that you don’t have the latest version of Java. and see if after following these instructions that problem doesn’t go away. If it does work, please leave a comment here as others seem to be struggling with this too. On Mac OS 10.9.2, followed the instructions in the video and did the java update. Still getting a message similar to others here, even after a reboot and after trying to open it using the contextual menu. I can’t open .jar files so how do I install forge? When I try to install forge it comes up with ‘You must run 1.7.2 manually at least once’ what does this mean? Probably means you need to run the MineCraft 1.7.2 version of the game once first, before running forge against it. Try that and let me know if that works. Thanks that seems to of worked, though when I run it I get no updates and nothing new appears in the minecraft folder. Is this normal for 1.7.2? Awesome! I believe so. Basically we are copying the configuration files for minecraft in the beginning, and then bringing them back in the end. Check the Console for possible error messages. I updated to the latest java per your link (thanks for that). I have tried to OPEN WITH and use the Archive Utility, and it creates a new folder with a lot of files, but non of them seem to be the executable file to start Forge. 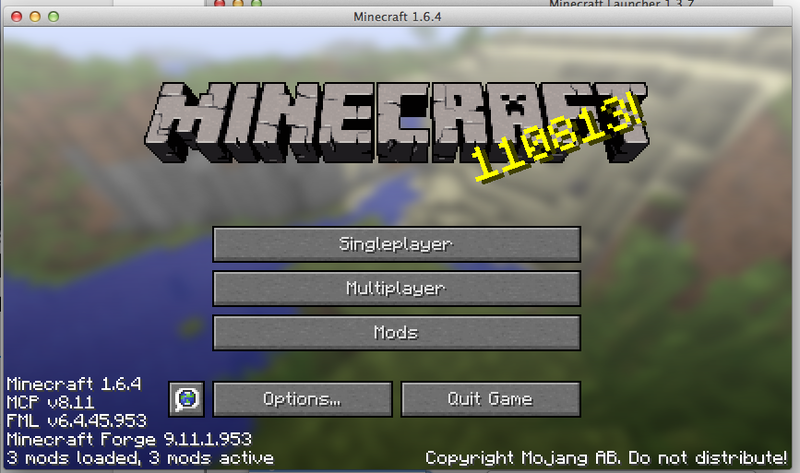 I am running OS X Mavericks and Minecraft 1.7.10. OK – this is really beginning to bug me. Too many people are struggling with this. Let’s try this. What we need to do, is see what that java console is saying. There is some error message, that is we can just see it, we can figure this out. 1. Open a ‘terminal’ session. 2. Navigate to the directory containing the jar file. Fill in the above with the name of the jar file we are trying to execute. And tell me what error message you see. Then we can try to solve this once and for all. I am sorry. I don’t know what the problem is. I tried upgrading my version of java to 1.7, but Oracle has made upgrading java so unbelievable complex I can’t figure out how to do it. I am in the middle of a move right now (boxes everywhere). But I feel everyone’s pain. I will try again in a few weeks once I get setup. But if anyone wants to try something, see if its the java version. Try installing java 7 or java 8 and then run the jar and see if it fails. That may not even be the problem but it’s the next thing I was going to try. I started from scratch. reinstalled mine craft and java. I downloaded forge, and it didn’t work at first, and then i downloaded it from the [*] link and it worked. Not sure why it didn’t work at first, but it works now. Now, I need to manage the kids and the mods. Hey great Job Derek! I can’t explain why that would work. But thats computers and software. When in doubt, get out of the car, walk around, get back in, and restart the engine. Good work and good luck! If I empty the mods folder, the game works again. Or, if I try other mods (vanishing block or trick block) the game loads, but the mods are not in the Mod folder inside the game. It could be that the mod you are playing is not compatible with the version of forge installed. Check the console output (terminal window) for error messages while running. Then check the website where you downloaded the mod and see if there is a forge version requirement. You may need to installer another version of forge. i have now installed java 8.11, with no luck. i will try to downgrade to java 7. i may then try downgrading to on older version of minecraft and the requisite forge. I get an error message “You need to run version 1.7.2 manually at least once” help! I have no clue what to do. Thanks. I figured it out. Thanks for putting up this web site. I now have Mo Creatures working. I’d rather drink gasoline, then install Forge again. The things a father does for his daughter. I think I hate Minecraft now. Thanks again. You are very welcome. Happy forging. And don’t be afraid to post the solution to your problem so other moms and dads can benefit from your new insight. My minecraft folder in application support doesn’t have a ‘mods’ folder, even after apparently successfully installing Forge. Sure. Trying making one, drop you mod in, and see what happens. honestly i – and my son – could hug you! thanks for the best tutorial ever. i am bookmarking this page. You are very welcome Meera. The pleasure was all mine. Thank you! Everything else was so confusing, but this was so clear! 1 Question, is it possible to just download a directory for minecraft, with mods already installed, and just set it as the game directory in the profile settings? I don’t know speedstar101. Only way to find out would be to try. Let us know if successful. Have you ever tried Tekkit? It’s minecraft with about 100 mods pre-installed. What application do you use? I use the default one and it says: The Java JAR file “forge…blablabla…universal….” could not be launched. check the Console for possible error messages. Hi I loved your tutorial! It really helped me but I have one problem near the end, theres no mods folder for me?? Well deserved accolades from everyone else here… Just installed forge and trying the Lucky Block mod now. Thanks heaps! You’ve made a 7 year old fan of Minecraft on Daddy’s Macbook Pro very (VERY) happy! Thanks!! Success! Thanks BigDaddy. Do share if you discover anything else. what do you do if the mods folder doesn’t show up? You need to make one. TY – I have been looking to get so many mods for my daughters & nothing seemed to work – This did it & they are happy! I did this with 1.7.10 & thought I would give 1.8 awhile to work out all the bugs with forge. I’ve tried adding the mods for 1.6.4 since my daughter wants a mod that’s in 1.6.4 version only,i downloaded 6 mods but only 3 showed in the title page the three mods are Radixcore,Forge and another thing that comes with the pack help please thankyou. What are the 6 mods? Radixcore is an add on that is needed for a mod (forget the name of the mod that needs this to run, I do have this installed too) to run. Forge is what is needed for all mods work. Guys. For those who are getting the error that the forge installer could not be launched. I had this problem and I think it relates to the version of OS you are running. This worked for me (after much research into Java versions and OS versions etc etc). Download this version of forge installer from here (not sure links are allowed on this site but happy to be told off). Ensue you have run 1.7.2 from your Minecraft launcher at least once (per the above instructions. Once done rune the forge installer you downloaded from the above link. This should now install (don’t forget to right click and ‘Open’ per the instructions provided above and follow all of the other instructions which are spot on). Hopefully this should work with this version of the forge installer on your Macs. Thank you so much for the tip Corey. I am sure this will help. Cheers. Why does it say that “I have to run 1.8 manually”? Worked perfectly with version forge v1.8-11.14.1.1334. Thanks so much! Thank you sooo much for your instructions. They are by far the best out there! My ten year old Minecraft fanatic is thrilled he will finally be able to use mods. From both of us, thank you, thank you! You have done millions of parents an incredible public service. Bless you! hi I downloaded forge but whenever i download a mod certain items lose their texture and become multicolored or white squares. Would you know how to fix this? I have the same problem, I’m using 1.7.10 for my forge and the game has been acting like this for days. I tried to uninstall it but I kept getting the same problem. I don’t see the mods folder anywhere, even if I search it. Any solutions ? Actually, I placed mods in the mods folder but my minecraft game seems to be crashing everytime I try to open it. Do I unzip the mods first ? I hear you Juliana. Dragging files around is always scary – especially if you don’t do often. I think you are going to be alright in this case though. Worst case you mess up your installation – in which case you’ll have to re-install. But if you do, make sure to write down your username and password to login into Minecraft. That way if you reinstall you’ll know what to type. And if all else fails, can always find a find who is computer savvy. It works, I had minecraft 1.8.8, make sure you modify your profile… i did mine to 1.7.10, and downloaded the matching forge. When I press play with my forge profile it just shuts down the launcher and the game itself doesn’t show up. My folder is called “DrZharks MoCreatures Mod v6” it is unzipped in the mods folder. Have you tried making a new world to see if the MoCreatures are available there? I get to step 5, click play, and the whole launcher just crashes every single time. I’ve gone through the steps very carefully and I don’t know why this is happening. No error msg, it just closes. Mine would not start with forge…. Thank You!!!! My son is in 7th Heaven now!!! Uhh, I didn’t get the ‘mods’ folder when I went back into the minecraft folder. How do I get that? Just make a new folder in the minecraft folder and name it ‘mods’. Remember this is the Minecraft folder that is in Application Support. I geting somthing called game output and my username I dont know what to do can u help me? A mine mum here – I’m trying to set up mods for my son – for some reason when i type ~library/application support/minecraft it says file could not be found. I have forge downloaded and can pick it up as a profile – but am lost as to where to store the mods as I cannot find a mods folder. any help would be appreciated, using minecraft 1.10.2 and forge to match – any help appreciated. The typical reply to that problem is that the .minecraft file is hidden and you have to reveal hidden files with terminal. Though you don’t have to. A simply way to find the .minecraft file is by running minecraft, start a random world, pause minecraft, click settings, click resource pack, click open resource pack folder, then execute command+up arrow key. There you will see your .minecraft folder that will contain you mods folder once you have installed forge correctly. When I download the forge and open it, it just expands instead of opening the ‘client/server’ window. Help? OMG after searching…installing…uninstalling…deleting…moving for HOURS this WORKED PERFECTLY!!! THANK YOU!!! Please, help. It still crashes.